I’ve worked in the beer industry for the past 25 years and have had pretty much every job within the sales department over that time. While at Sleeman in 2009, I met Roger Mittag, the founder of Thirst for Knowledge, who came out to Vancouver to train the Western Canadian Sales force . 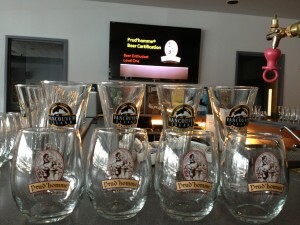 By the first coffee break, on the first day of his course, “Prud’homme Beer Enthusiast” Level 1, I had my first eureka moment about beer. He went through the whole brewing process, and what each ingredients’ contribution to the brewing process involved. He explained flavour, aroma, colour, and the style of various beers in a manner that truly impressed me. I was amazed to learn about the 40 different species of yeast and the 100s of strains and how this secret ingredient changes everything. I was suddenly embarrassed by how little I knew about beer. I realized that we were selling sizzle not steak. We were focusing on the social aspects and culture surrounding the beer, not putting the product in the center of our view. I realized we should be doing both. Yes, beer is a fun part of our experience, but the variety and complexity of this drink had been completely overlooked. Beer is not your everyday beverage. Even if you drink it every day. The history of beer was the next section of the course and this blew me away as well. The information was exceptionally valuable because it creates a context of knowledge and understanding that can be applied in a thousand different ways. From then on, I was determined to integrate this kind of education as an essential part of our practices and built a budget that included training with Roger for the whole team. 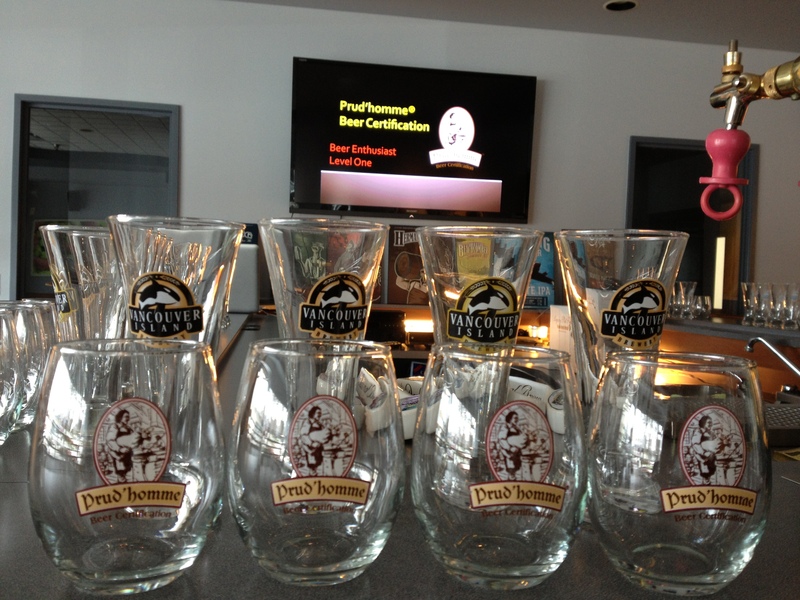 After leaving Sleeman in 2012, I went to train directly with Roger and got certified as the second (after him) Prud’homme certified trainer. It’s an honour to be part of Canada’s leading beer education program, especially at this point in time when there are more breweries in North America than there ever has been, and the number of enthusiasts is growing exponentially. My passion for beer is to educate, explore and share experiences, while guiding you to your own eureka moments. wow – I almost teared up. Well written! I do have to admit that I am very proud of you.